Two new sessions of the Micro-Grid Academy are coming up. The first one will be held on 6-11 May in Nairobi, Kenya. 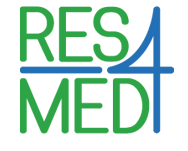 A second on Tour session will follow, taking place on 17-22 June in Addis Ababa, Ethiopia, in parallel with the first RES4Med&Africa Annual Conference in Africa. The theme of both is “Mini-Grids: From Design to Integration of Productive Uses through the Water-Energy-Food Nexus”. – Kenya, 6-11 May: “Mini-Grids: From Design to Integration of Productive Uses through the Water-Energy-Food Nexus”. Download the concept note and fill the application form. 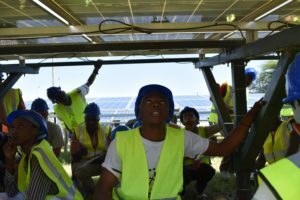 The Micro-Grid Academy is a regional capacity building platform that provides theoretical and practical training on energy access and decentralized renewable energy solutions to young African and international technicians, entrepreneurs and engineers. The project aims to enhance access to energy in rural communities fostering local enterprise and job creation, while positively impacting health and education services, female empowerment, climate change mitigation, reliable water and food production and energy security, in line with the United Nations Sustainable Development Goals (SDGs). Usually based in Nairobi, Kenya, it started holding on Tour sessions, the first of which was held in Lusaka just before the RES4Africa Program Launch in Zambia.